After serving on Active Duty with the Navy as an Aviation Structural Mechanic (AM) until 2012 at NAS Whidbey Island, Phillip Smith ran into a high school friend while working at Bradley International Airport (KBDL). After catching up with each other Phil went home that night and switched colleges, as well as his college degree from Engineering to Aeronautics after discussing it with his wife, Becky. 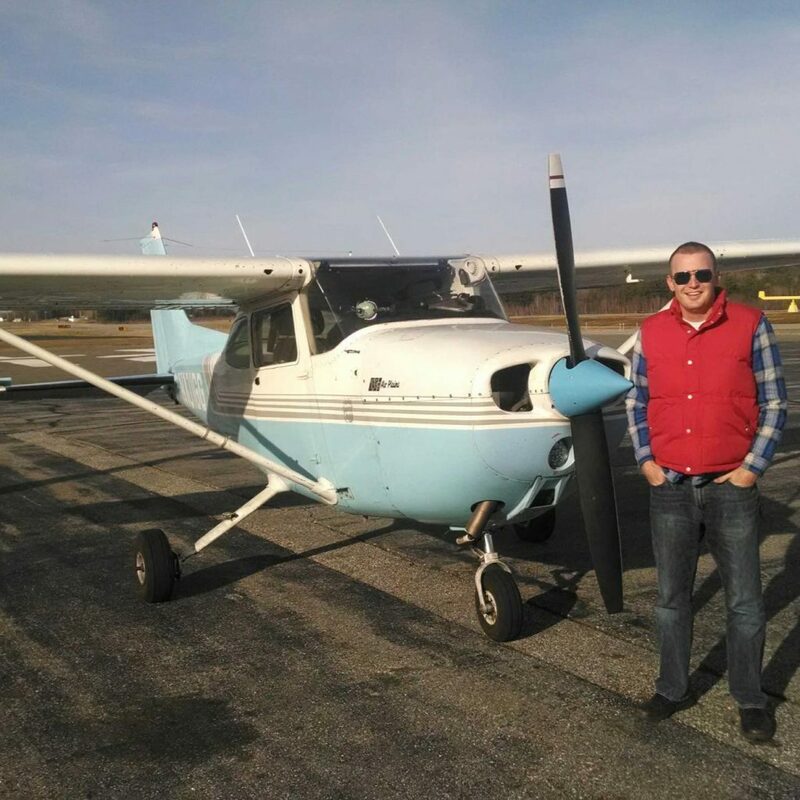 Phil also began flight training within the week at the Simsbury Airport, earning his Private Pilot Certificate in 45 hours of flight time in 3 months. Since that conversation Phil has gone on to earn his Bachelor of Science in Aeronautics from Embry-Riddle Aeronautical University Worldwide in May of 2017. Phil is a certificated Commercial Single Engine Land/Sea and Multi Engine Land Instrument pilot and has achieved his Certificated Flight Instructor Certificates for Single Engine Land/Sea, Multi-Engine Land and Instrument (CFI, MEI, CFI-I), and spent the summer of 2016 teaching in a 1946 Piper Cub on straight EDO 1400 floats. After teaching and talking with students and pilots around the state, since late 2015, Phil has noticed that the state of Connecticut needs a reputable flight school and aircraft rental location. Where students and pilots can rent aircraft without breaking the bank, allowing them to maintain their proficiency in the aircraft they desire to fly safely. It is our personal belief that one of the main causes of all the accidents/incidents that have occurred throughout the state of Connecticut during 2016 & 2017 are a result of pilots not staying proficient/current with their training. When a pilot must pay a substantial rate for an hour in an aircraft, why would they spend that hour of rental on emergency procedures when they can go and get the famous “$100 burger”? Learn 2 Fly CT, LLC is a family owned and operated small business.